“No amount of motivational speaking is going to get anywhere near the impact of a peer leader sharing real-life strengths,” says LoMurray. 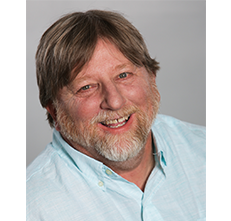 LoMurray is the Founder and Executive Director of Sources of Strength, an evidence-based youth suicide prevention program that, since its rollout, has expanded to address other issues like bullying, substance abuse, and violence. The program relies on trained peer leaders who work with adult advisors—usually in school settings—to facilitate activities that help young people identify and foster the strengths they need to deal with "the rough stuff,” as LoMurray calls it. Before founding Sources of Strength in 1998, LoMurray was working in a North Dakota police department, where at one point he saw 30 teen suicide deaths in less than 3 years. He already had experience in civilian crisis intervention, particularly with teen suicide prevention, and he saw an opportunity. “I was feeling like we could get in front of it,” he says. 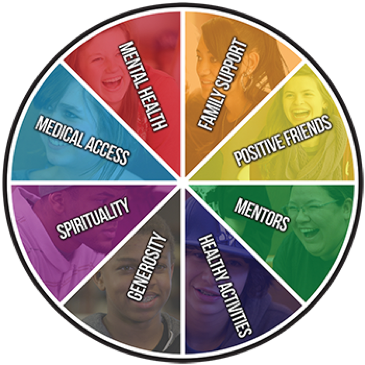 Sources of Strength is built around a wheel of 8 strengths—things like family support, positive friends, healthy activities, and mental health—that peer leaders use to help other young people develop critical coping skills. The program taps into all kinds of activities: talking in various group sizes, playing games, using social media, and creating art. Activities often involve students sharing their life experiences while others listen. Perhaps the defining characteristic of the Sources of Strength program is its inherent positivity. Instead of focusing only on the difficult situations or uncomfortable feelings the students are dealing with, the program encourages them to reframe their thinking around what can help them work through things. “We change the conversation to strengths,” says LoMurray. For LoMurray, at the end of the day, it all comes back to seeing the transformation of the peer leaders. “As they’re able to give examples of why something’s working for them, they can start piecing those different strengths together as part of their story. That can be contagious. It spreads strength and hope throughout their school as they get others to talk, write, draw, and post about their strengths,” he says. Our mission is to provide the highest quality evidence-based prevention for suicide, violence, bullying and substance abuse by training, supporting, and empowering both peer leaders and caring adults to impact their world through the power of connection, hope, help and strength.